Celebrating Baby Max + Helping Needy Moms! We are so excited to welcome Baby Max to the world this winter, but instead of a baby shower (to let him know he’s the second child and not as important as Piper…kidding!!) , we are doing a donations shower to help out some needy moms in the Valley! The holidays are a really tough time for women that find themselves homeless with babies or pregnant. We can’t even imagine the stress and uncertainty these women must feel, and we thought Baby Max was the perfect excuse to host a party and give as much as we can to some women in need. 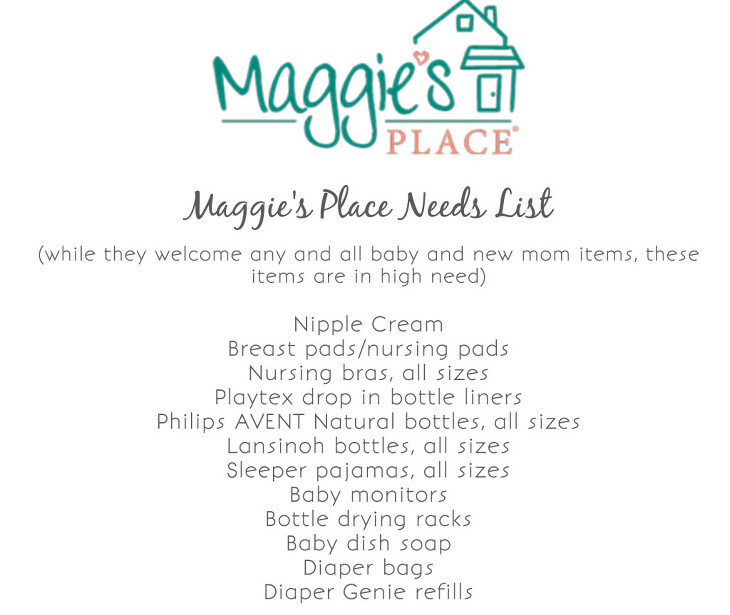 We are working with Maggie’s Place, an amazing organization in the Valley that provides safe, supportive, loving houses and hospitality to Phoenix women who are pregnant, or have babies up to 6 months old, to help them get on their feet and start working toward new goals. What: Open House Baby Shower to have a cupcake, bring your donations, and visit with Jenny and family! Unable to bring a donation in person? You can still help and donate here! We’d love to have your financial donation if you’re unable to attend! Simply click the button below and you can donate ANY amount (even $5 buys a bottle!) and we will take all donations to buy items these special ladies need! We appreciate all support!